These orange sweet rolls are perfect for breakfast, brunch or a midnight snack! You’ll love their ooey gooey citrus-y deliciousness! I think I may be a sweet roll addict! This is the third sweet roll recipe on my blog. 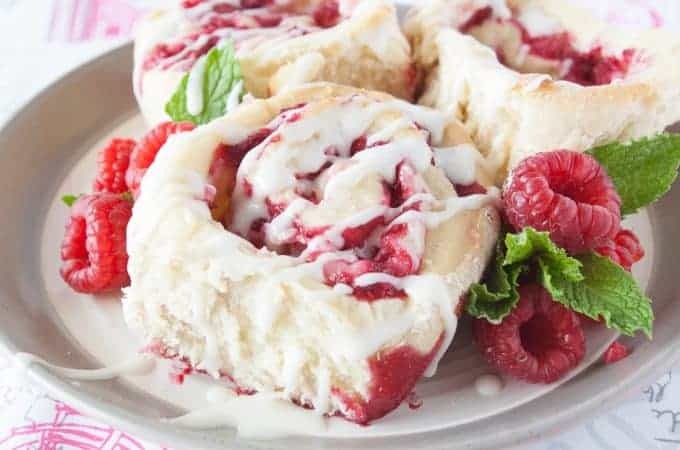 I’ve previously posted my Raspberry Cheesecake Sweet Rolls and my Lemon Danish Sweet Rolls. Another personal favorite of mine is orange sweet rolls! I recently served these at a family event and they were a hit! I think they would be great for breakfast, brunch or to brighten a cold winter day. The dough for these orange sweet roll is a batter dough. That means it does not come together in a ball like traditional bread dough. It is a very soft dough. Start by scalding the milk and pouring it over the butter, salt and sugar in a mixing bowl. Let this cool to be warm but not hot. Dissolve the yeast in the warm water with the little bit of sugar. Let stand 5 minutes to get foamy. Pour the foamy yeast, the eggs, and 2 cups of the flour into the mixing bowl with the warm milk. Using a paddle attachments or beaters, mix these ingredients until they come together. Continue to beat and a medium high speed for 5 minutes. Don’t skimp on the beating time. After beating for 5 minutes, add the remaining 1 1/2 cups of flour and mix until combined. The dough will be gooey like shown above. Cover with a dish towel and let rise until doubled. This will take a hour to an hour and a half. Punch the dough down, cover and let rise a second time. This time will be about half as long as the first rise. While the dough is rising for a second time, soften the butter in the microwave. Grate the zest off two oranges. Beat a cup of sugar and the orange zest into the butter. Beat it until the mixture turns a light orange color. Dump the risen dough onto a floured surface. Knead it a few times to bring it into a soft ball. Divide the ball into 3 equal pieces. Roll each piece into a circle and spread 1/3 of the orange butter across each one. Using a sharp knife or my preference, a pizza cutter, cut each circle into 8 pieces. Roll up each triangle, large end to small end and place the rolled up rolls on a baking sheet that has been sprayed with non-stick cooking spray. Cover and let rise until doubled. Preheat your oven to 350 degrees while they rise. Bake in the preheated oven for 18-20 minutes. When about half cooled, whisk the powdered sugar and orange juice concentrate together and drizzle over the warm orange rolls. These orange sweet rolls are perfect for breakfast, brunch or a midnight snack! You’ll love their ooey gooey citrus-y deliciousness! Makes 24 orange sweet rolls. While the dough is rising a second time beat the butter, sugar and orange zest together until the sugar turns slightly orange. Dump the risen dough out onto a floured surface. Knead a couple times to form a soft ball. Divide the ball into 3 equal pieces. Roll each piece out into a circle. Divide the orange butter into 3 portions. Spread a portion onto each circle. Using a pizza cutter, cut each circle into 8 triangle pieces. Roll up each triangle, large end to small end and place them on a baking sheet that has been sprayed with non-stick cooking spray. Cover and let rise until doubled. While the orange sweet rolls rise, preheat the oven to 350 degrees. Once risen bake the orange roll for 18-20 minutes. 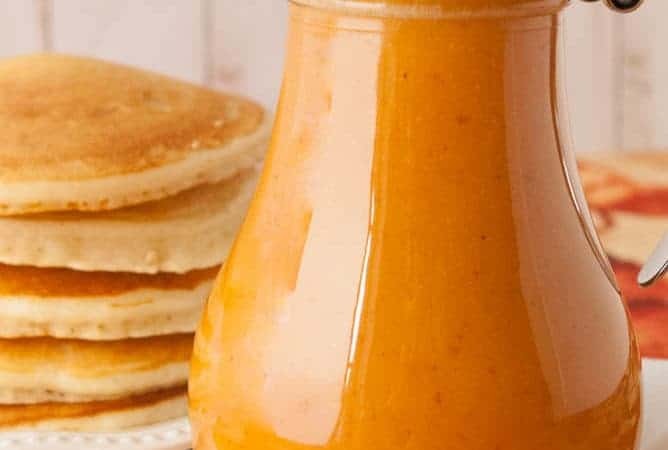 For the icing, whisk together the powdered sugar and orange juice concentrate. Drizzle over partially cooled orange rolls.